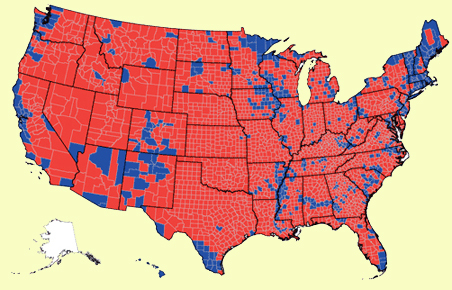 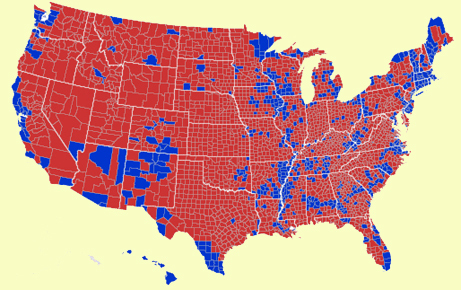 Presidential Election by Counties 2004 and 2000. 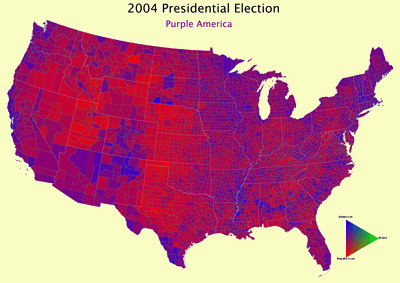 The top pair of maps are from 2004. The bottom pair are from 2000.